Flip phones, at least in the United States, are synonymous with iPod Minis and VHS tapes as relics of another era. But in other regions of the world, flip phones have kept up with the smartphone revolution. 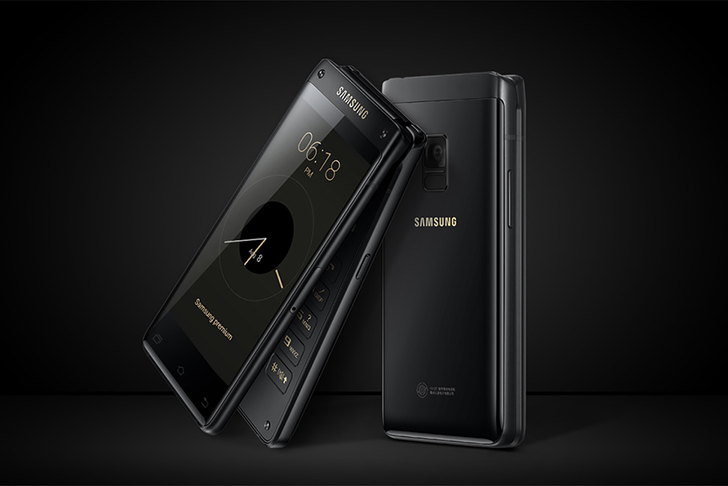 Samsung just announced the 'Leader 8,' a flip phone with the specifications to match flagship Android smartphones. The Leader 8 has a Snapdragon 821 processor, 64GB of expandable storage, 4GB of RAM, and a 2,300mAh battery. There are two screens - one on the front, and one on the inside. The phone even supports wireless charging and Samsung Pay. As is usually the case for these unique phones, don't expect the Leader 8 to be sold in North America. In fact, it looks like it will only be offered in China. There's no word from Samsung about how much it will cost or when it will be available.